I have been teaching yoga since qualifying as a Sri Sri Yoga teacher in 2003. I am qualified to teach yoga to adults and children, including those with special needs. I trained to teach yoga to children with leading practitioners Jo Manuel and Shana Meyerson, and have completed Sonia Sumar's Yoga for the Special Child Basic and Advanced trainings with Jo Manuel and Sonia Sumar respectively. I also teach Mindfulness Yoga. In 2014 I qualified as an Embodied Facilitator and this also influences my yoga teachings. I continue to study yoga and regularly go on courses to deepen my knowledge and experience. in hospitals, care homes, pre-schools, primary and secondary schools and at yoga retreats. I have taught yoga to individuals as well as groups in England, Germany, Morocco and Spain. I teach regular classes and workshops around Surrey, Sussex, Kent and London. After studying Sri Sri Yoga I decided to exchange a successful corporate career for teaching yoga. By sharing its secrets, my aim is to open the way to physical well-being and peace of mind to young and old alike. "I leave the classes feeling renewed having received all that I needed and what I did not know I needed." 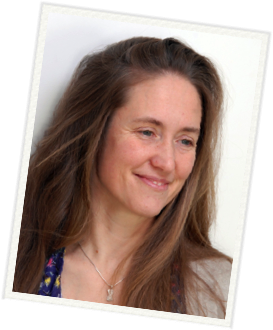 "Annabel is a considerate and skillful teacher, who enables each person in our (mixed ability) group to shine. She helps individuals where needed, pushes us to reach our potential when appropriate and when wanted, always allowing everyone to develop in their own time. The atmosphere she creates is welcoming, supportive and respectful."